These Easter eggs are sure to please! They can be used as gift tags, favor tags, cupcake toppers, and more! Stick them on the walls, and hang them from chandeliers, because these cheery eggs are sure to put a smile on your face. 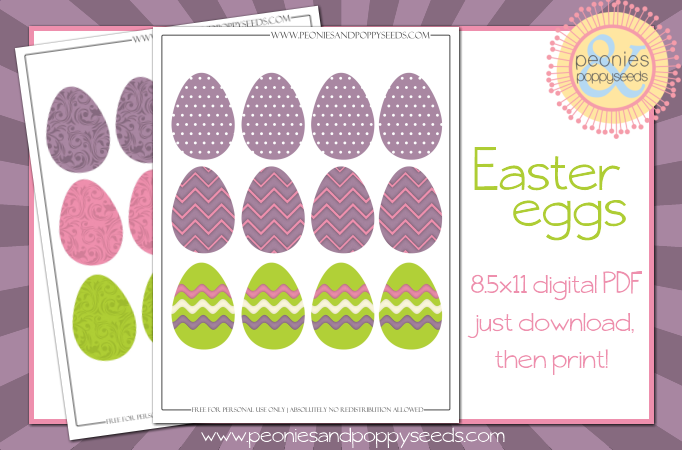 Just click to download these Easter egg freebies!